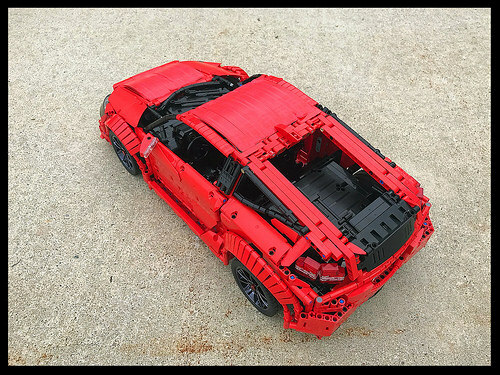 LEGO Technic cars like this Honda CRZ by Lachlan Cameron never cease to amaze me with their complexity. 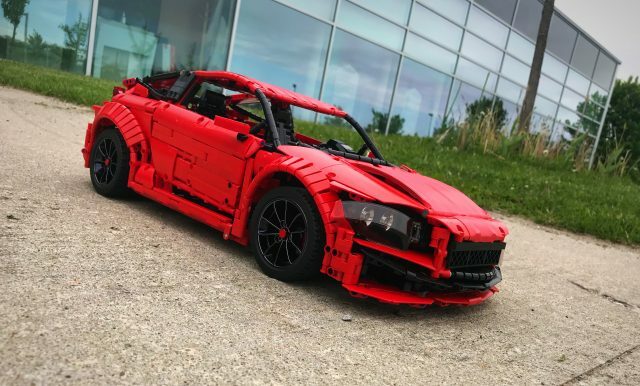 The build is chock full of excellent techniques, my favorite of which must be the headlights, which are accomplished using transparent black vehicle windscreens with chrome 2×2 dishes inside as the individual light reflectors. Eagle-eyed viewers may notice what looks like red tape covering the roof and the hood of the car. This is likely because the technic panels used on these parts of the car were never produced in red, so red tape had to be used to make black ones match the overall color scheme–a simple and smart solution to the problem of part availability.